1975 Kawasaki BX200A1 First year model 2400 produced for U.S. and 600 for Canada. stunning old schooler. are the rims&hubs alloy also? what does that thing weigh? so cool! Very nice old school bike. hey ray, thanks for the reply. i added it here, because that is cool info. i love this bike! 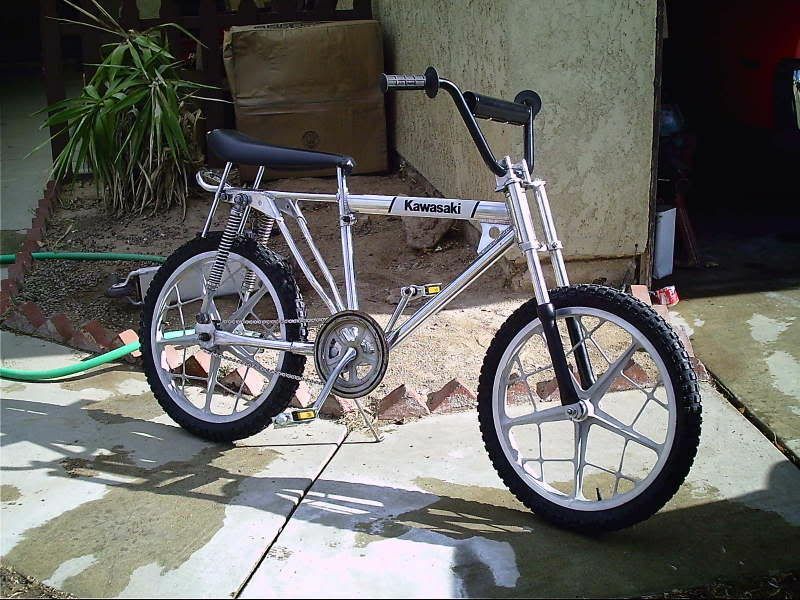 Wheels and hubs are steal, every thing in the mid 70's was heavy duty. Buy a t.v. heavy duty, buy a yard rake heavy duty, number one sales pich. Tecnology has come a long ways, and the total weght on this bad boy is 35lbs. Wheels were 28 spoke 12 gage, and where black as well. Rear hub is a shimano coaster brake.This bike was ahead of itself for 1975, alloy frame and black spokes that is. 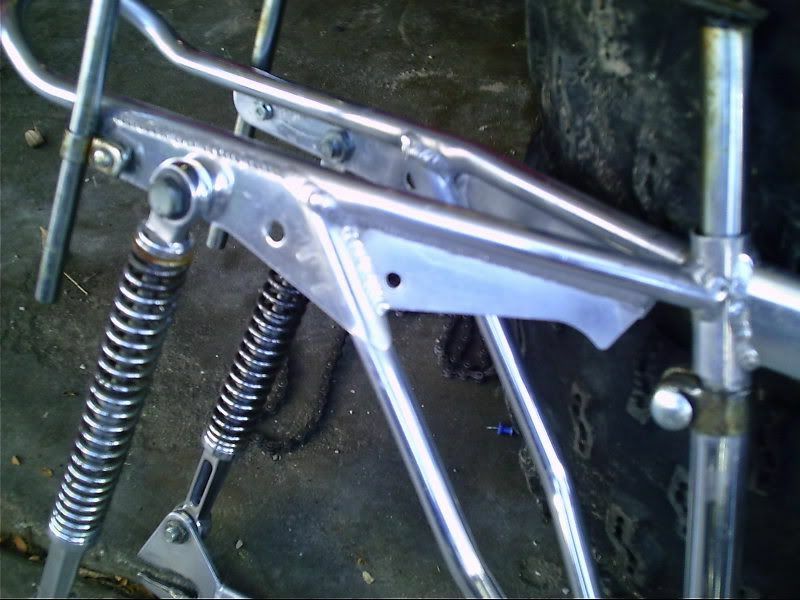 A 'strange' frame with extra gussets I have. I have never seen another like it? That's awesome. I love it. Nice job on the build. 20", 22", 24", 26", and 700c ! 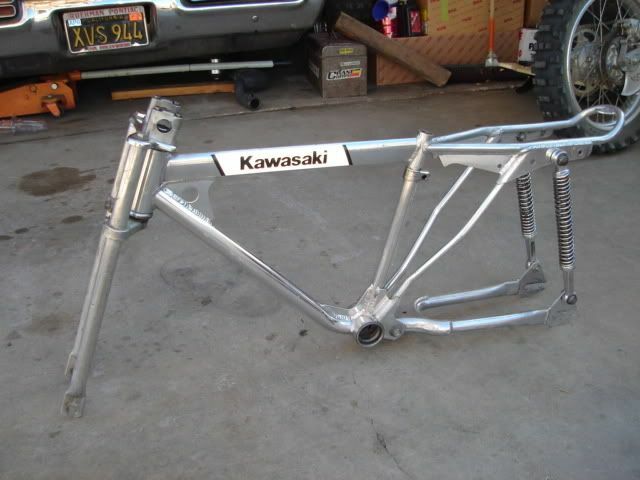 I've been looking to buy a 1975 Kawasaki BX200. 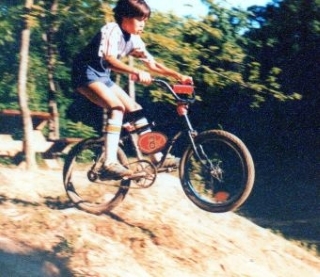 That was my very first true bmx racing bike back in 1975. My first race was at Worford Heights, CA., near Lake Isabella. 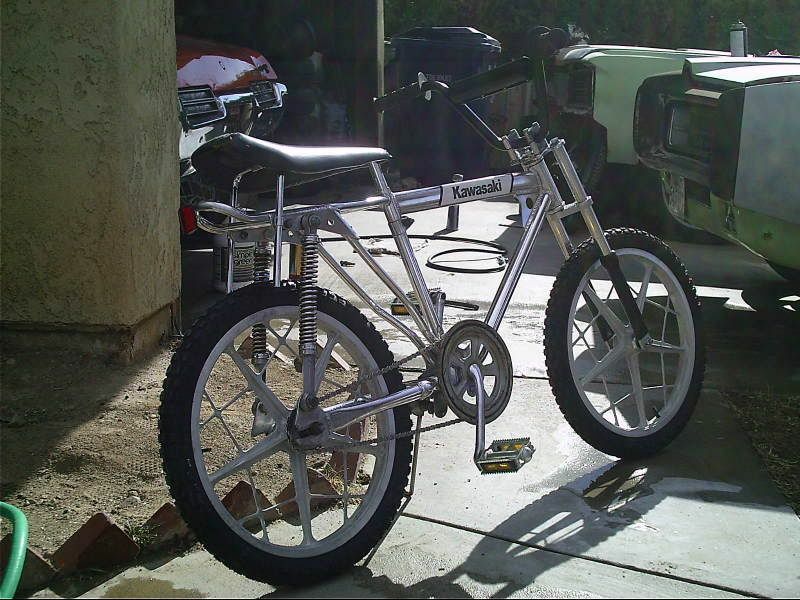 I would really love to purchase this bike. VERY NICE!!!! Great Build. 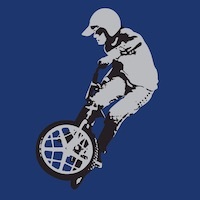 Can you provide any help on the wheels. I am trying to see the original wheels and hubs, Looks like Shimano with black spokes? ?